The Master of Health Science program in the Department of Community and Environmental Health ranks no. 12 on a national list of the top master’s degrees in public health for 2019. The annual list, published by Top Master’s in Healthcare Administration, sources data from the National Center for Education and the U.S. Bureau of Labor Statistics, and weighs factors such as student and alumni satisfaction, job prospects and affordability. The Master of Health Science program experience at Boise State is rooted in strong community partnerships with local health systems including St. Luke’s Medical Center and Saint Alphonsus Regional Medical Center, agencies like the Department of Health and Welfare, and other healthcare and public health organizations – agencies where these alumni excel after graduating. Alumna Charlene Cariou, the health program manager for Comprehensive Cancer Control at the Idaho Department of Health and Welfare, graduated from the program in 2012 and currently oversees all statewide cancer prevention programming. 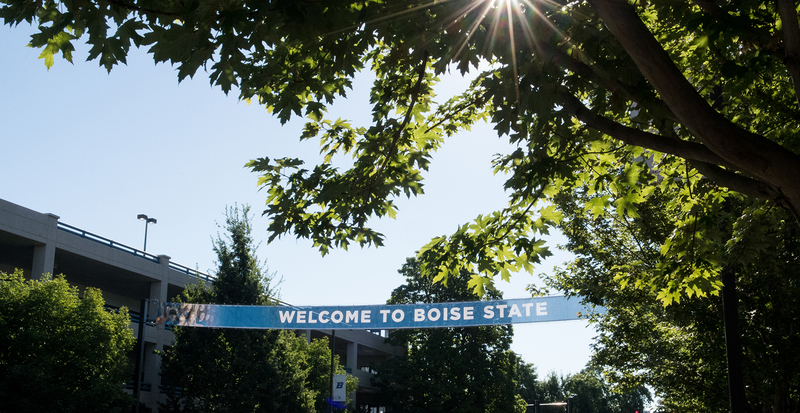 Cariou was drawn to the graduate program at Boise State for its emphasis on applied learning. As a Master of Health Science student, Cariou initiated a peer mentoring pilot program, learned formal program evaluation techniques and joined professional public health associations. “The opportunity to apply coursework in real-world settings helped me gain confidence and skills that have lasted into my career,” said Cariou. Brown appreciated the valuable connections she made with peer colleagues throughout the community as a result of the program. “I would not be where I am professionally without my degree and everything I learned during my time at Boise State,” said Brown. The Master of Health Science program continues to evolve as the curriculum is in the process of a refresh in order to compete with other cutting-edge health science programs. With the need for public health workers expected to grow by 16 percent over the next seven years, the Department of Community and Environmental Health is working closely with community partners to ensure the Master of Health Science curriculum continues to align with workforce needs while bringing career satisfaction to its alumni.